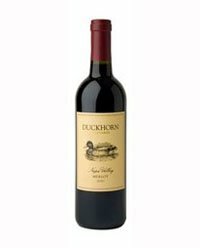 Categories: Country - United States, Region - California, Red - Merlot. Since the inaugural vintage of the Decoy Napa Valley Red Wine more than a quarter century ago, Decoy has taken an important place in the Duckhorn Wine Company family of wines. With a reputation for delivering great quality at a remarkable price, Decoy has established a loyal following for its distinctive style, which emphasizes ready-upon-release wines that are capable of expressing their full charm and complexity in their youth. After several years of working with its sought-after grapes, they acquire the renowned Ridgeline Vineyard in the Alexander Valley appellation—Sonoma County’s best region for growing Bordeaux varietals. Located on Oak Mountain, Ridgeline Vineyard is a steep mountainside vineyard with elevations ranging from 100 to nearly 2,000 feet. 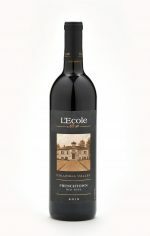 The core blend for this appealing Decoy Red Wine 2016 pairs the elegance of Merlot with the complexity of Cabernet Sauvignon. Reflecting the character of each growing season and the diversity of our vineyard sources, Decoy has established itself as a wine of distinction. Rich and concentrated, this wine reveals voluptuous layers of blueberry, cassis and dark chocolate. On the palate, hints of salted caramel and exotic spices add depth and complexity to the fresh fruit flavors, while carrying the wine to a long and silky finish. 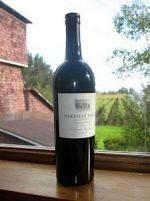 51% Merlot, 23% Zinfandel, 18% Cabernet Sauvignon, 6% Petite Sirah, 2% Petit Verdot. Frenchtown, Walla Walla Valley’s first settlement, was founded by French Canadians in the early 1800s. A thriving viticulture and wine making community was established in the Valley by the 1860s. 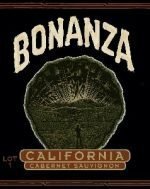 This Frenchtown wine salutes these pioneers. The 2015 vintage was one of the warmest vintages for Washington, rivaling 2003 and 1998, with slightly lower yields due to smaller berry size. The L'Ecole No. 41 Frenchtown 2015 shows aromas of wild berries, fresh plum, black currant and baking spice. The generous dark fruit flavors stay bright and focused through an integrated finish. 45% Merlot 15% Syrah 18% Cabernet Sauvignon 7% Grenache 6% Malbec 3% Mourvèdre 6% Cabernet Franc.